Haskaps belong to the honeysuckle family, but are a woody shrub that does not sucker from the base and is not invasive. 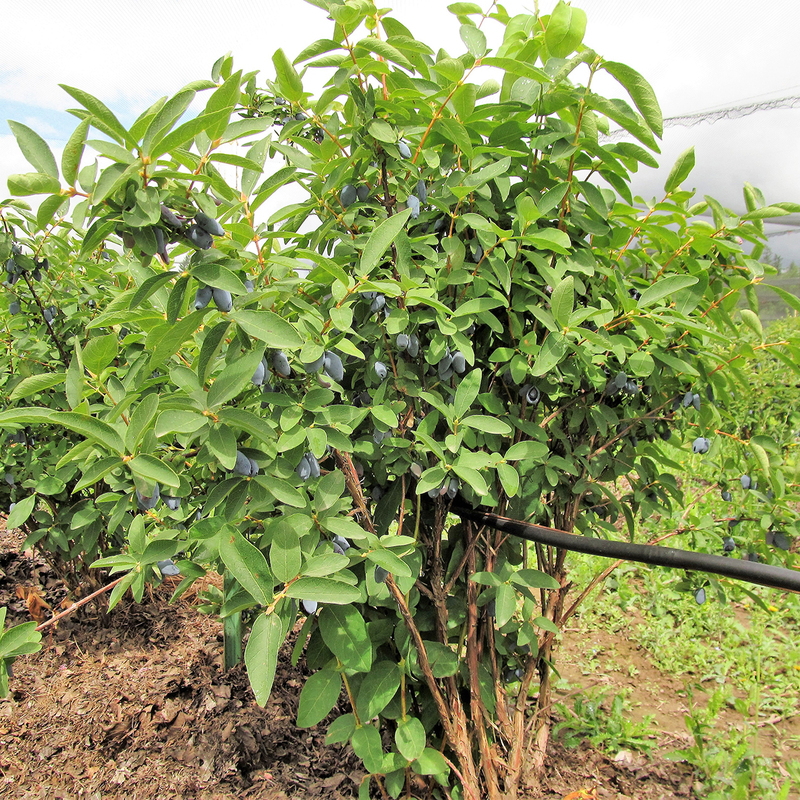 The name "haskap" is used to refer to the cultivars of the lonicera caerulea that are derived from the Japanese strains, while the Russian varieties are usually called "honeyberries." Plants are adaptable to most soils, with a wide range of pH levels, but prefer a slightly acidic soil. Cold-hardy plants, with blossoms able to withstand 20 degrees, are also adaptable to moderate temperature climates. Harvest is early, about the same time as strawberries. 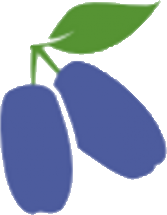 A healthy and properly pruned plant produces 6 to 10 pounds of berries after 5 years. The fruit can be used for baking, ice cream, jam, juice, liqueurs, and wine. Berries have more antioxidants than blueberries, black currants, or pomegranates. Plant at least two unrelated varieties that bloom at the same time for pollination. No significant diseases or pests have been noted, except for birds. Birds love them, protection systems are necessary in most locations. Healthy plants will live 25 years or longer.